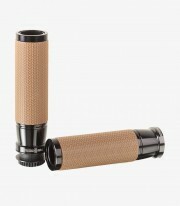 Get now the motorcycle grips Vintage model from Puig in color Black. Are you old-school? Puig’s vintage grips have an ideal classical style ideal for retro-vintage bikes. They’re made with the same aluminum block than the ascent grips but with a brown rubber area and a different texture. The metallic details of the grips are available in black and silver, so you can better combine it with your bike’s style. The rubber with which the grip is made is anti-slip, preventing your hands from slipping under any circumstance. 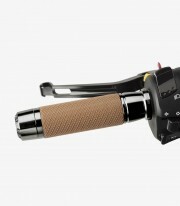 Can be adapted to 22 millimeters handlebars (the standard in handlebars). 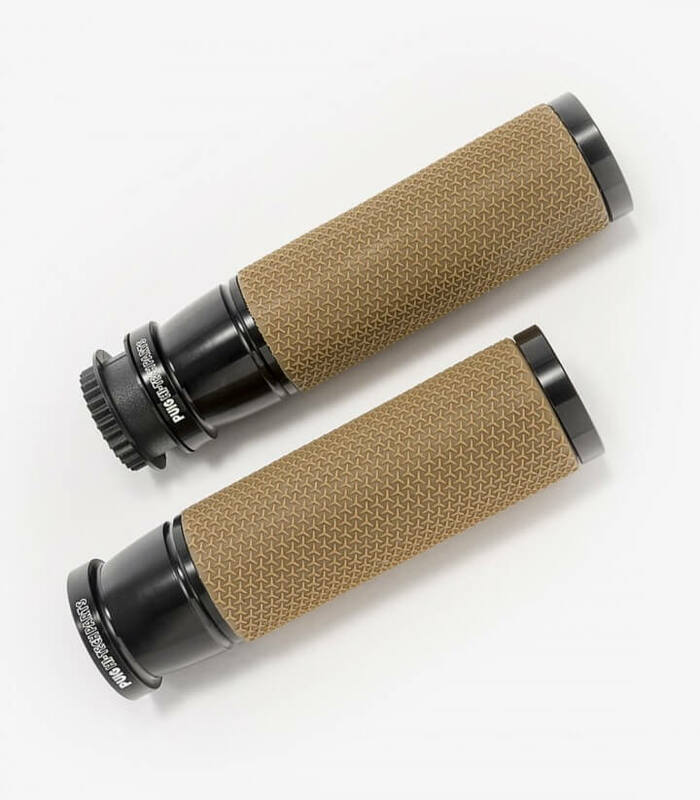 The grip makes it 119 millimeters long, which is the standard in bike’s grips. Even so we recommend you measure the grips you actually have to ensure that they’re compatible. Important: These grips are not compatible with the Ride by Wire system, that’s to say, the electronic gas system without wires that is equipped to some actual models. We recommend you to check if your bike is equipped with this technology before acquiring these grips.